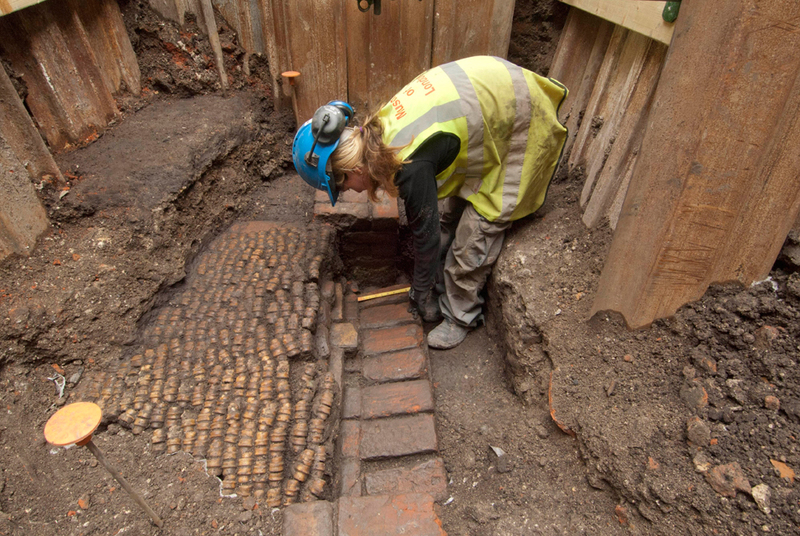 Last October, archaeologists from Museum of London Archaeology (MOLA) surveying a future construction site on Hewett Street in Shoreditch, north London, unearthed the remains of The Curtain Theatre, one of London’s earliest theaters and the space where some of Shakespeare’s most famous plays were first staged. The discovery was announced Wednesday by MOLA and the property owners Plough Yard Developments who are delighted by the find and have plans to make the preserved remains of the Curtain Theatre the centerpiece of their new multi-use development. They’ve put together several redevelopment proposals which will go on public display at the site on June 8th and 9th. So far the archaeological team has uncovered the walls of the gallery and the internal yard of the playhouse, but lead archaeologist Chris Thomas believes that as much as three quarters of the structure has survived and remains to be excavated. That would make it by far the best preserved Elizabethan theater in Britain. The Curtain Theatre was built in 1577 just 200 yards south of the succinctly named The Theatre, a polygonal open air playhouse built the year before that was the first public playhouse in London. Actor, carpenter and impresario James Burbage and his financial backer John Brayne built The Theatre on property leased from Giles Allen. 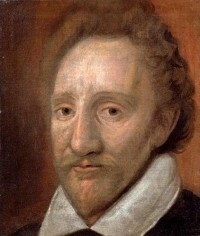 It was at The Theatre that the Lord Chamberlain’s Men, the acting troupe that starred James’ son Richard as the leading man, first performed the works of their fresh new playwright/actor William Shakespeare. Henry Lanman built The Curtain Theatre, naming it not after the proscenium curtain we know today (those didn’t exist in Shakespeare’s time) but after a nearby road called Curtain Close. You might think the rise of a competing playhouse a few blocks closer to the city walls would cause friction with the folks at The Theatre, but it didn’t. Lanman and Burbage worked closely together, pooling their resources and using The Curtain to stage gateway entertainments like bear baiting and sword fighting displays which would bring a new audience to the elaborate plays at The Theatre. In 1599 the company would move to the Globe, the theater that is most famously associated with Shakespeare. The Globe was built out of The Theatre. Literally. With their lease set to expire at the end of 1598 and their shareholders short on funds, the Burbages hatched a daring plan. 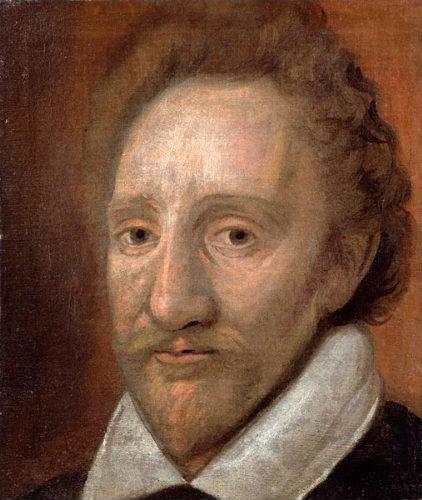 In the dark of night on December 28, 1598, Richard Burbage, Cuthbert Burbage and a team of carpenters led by Peter Street took The Theatre apart half-ton oak beam by half-ton oak beam and carried it in wagons to Street’s yard in Bridewell. The wood was kept there until the foundations of the Globe were finished the next spring, then it was ferried across the Thames and used in the new theater’s construction. Allen was less than pleased, to put it mildly. He brought suit against Peter Street and the Burbages for, you know, stealing his whole theater. The Burbages countersued and the cases remained active for years, but we don’t know of any final ruling. The Curtain Theatre remained in use for a couple of decades after the Lord Chamberlain’s Men decamped to the Globe. The last reference to a play being staged there is in 1622, and there is nothing at all about it in the historical record after 1627. It’s thought to have been dismantled by the Puritans after the Civil War. Over time, the exact location of The Curtain Theatre was lost. A plaque at 18 Hewett Street marks the general area, but it can get specific now.